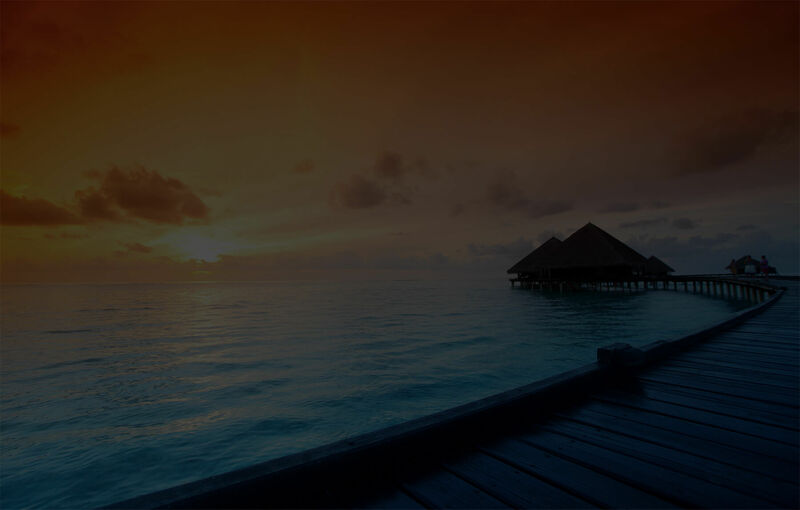 The Singapore Sling is one of the most iconic cocktails in Singapore, and a must have for first-time visitors to the island city-state. And where better to have it than in its original birthplace, Raffles Singapore Hotel. The Raffles Singapore Sling was first created in 1915 by bartender Ngiam Tong Boon. 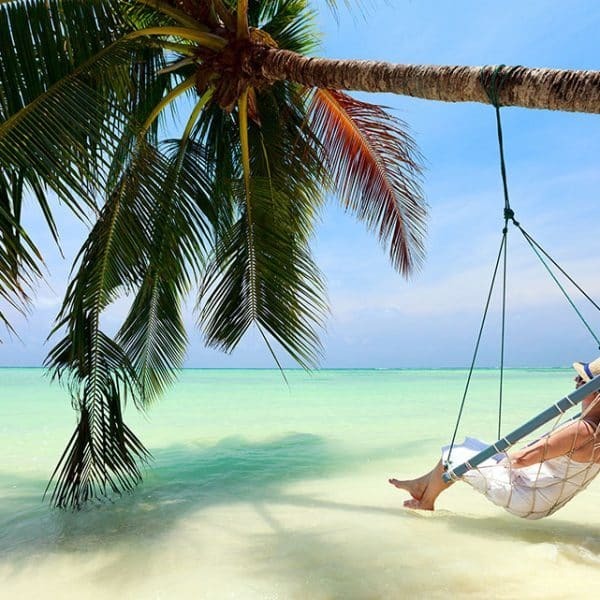 Celebrating more than 100 years of the Singapore Sling, the recipe remains unchanged from the time it was created. It is said to be a gin-based cocktail containing pineapple juice, lime juice, grenadine and Dom Benedictine. With the deliberate rosy colour created by cherry brandy and Cointreau. The first sip of my Raffles Singapore Sling certainly packed a punch, although after a few more sips my taste buds became familiar with the strong flavours of the liqueurs and it made for a really enjoyable cocktail. 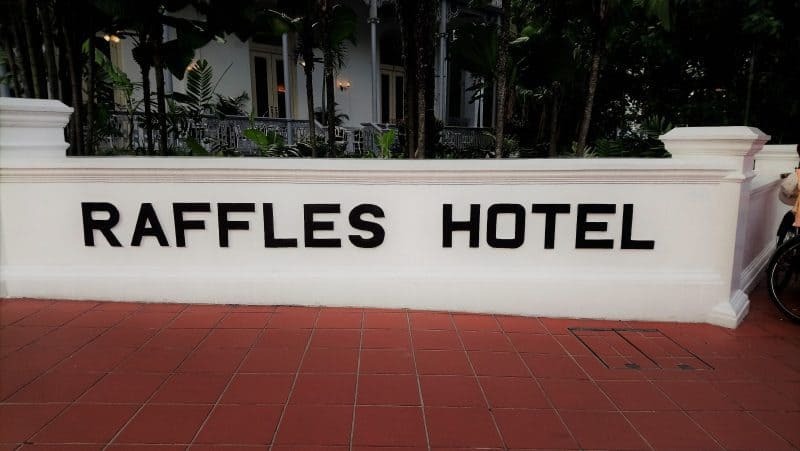 Raffles Singapore was once the gathering place for the community. 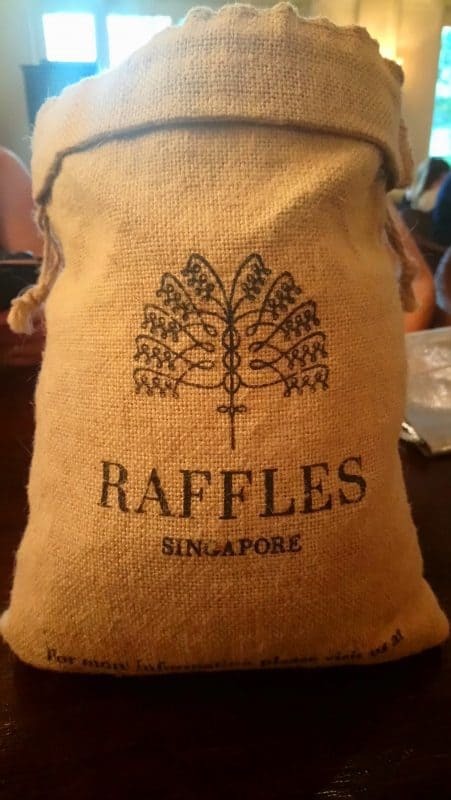 Raffles’ Long Bar was the most popular bar in Singapore and was accustomed to gentlemen drinking glasses of gin or whisky. 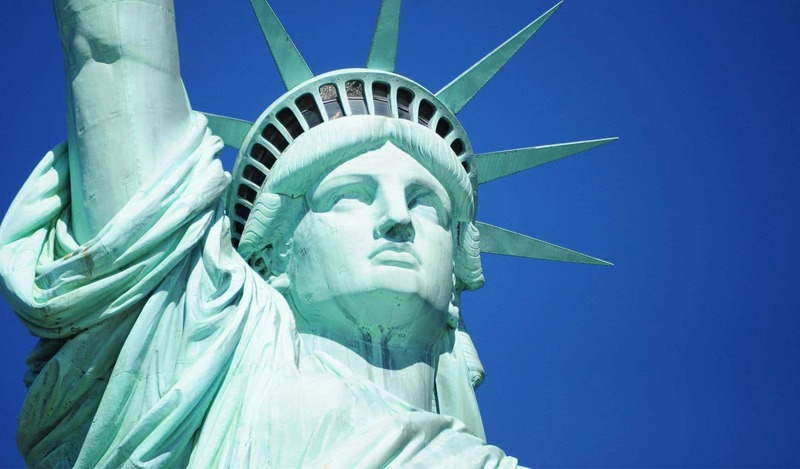 Unfortunately for ladies, it was frowned upon to drink alcohol in public so they would opt for fruit juices or tea. Raffles’ talented bartender Ngiam decided to create a cocktail that looked like fruit juice but could mask the appearance of alcohol. With the clever use of clear alcohol and a feminine pink colour, Ngiam had created a cocktail that appeared as a perfectly innocent punch for ladies. 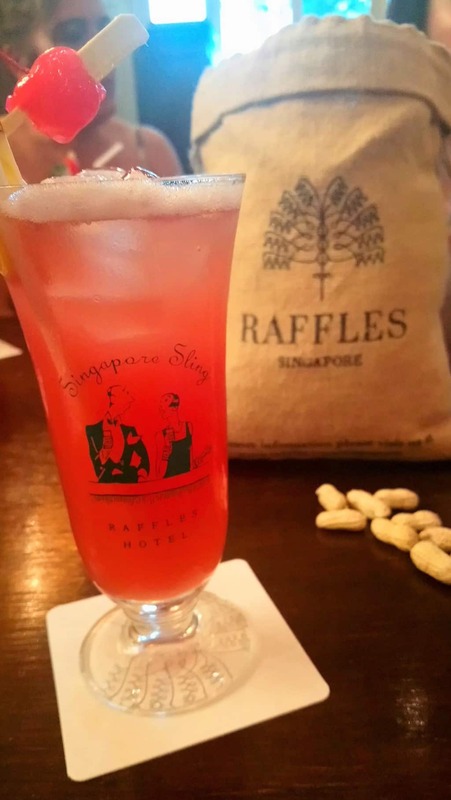 The Raffles Singapore Sling became an instant success and the national drink of Singapore was born. Usually the famous cocktail is served in the Long Bar towards the rear of the Raffles Singapore, however the hotel was undergoing major renovations when I visited. I got to experience the Raffles Singapore Sling in the Bar & Billiards Room, left of the entrance to the hotel. 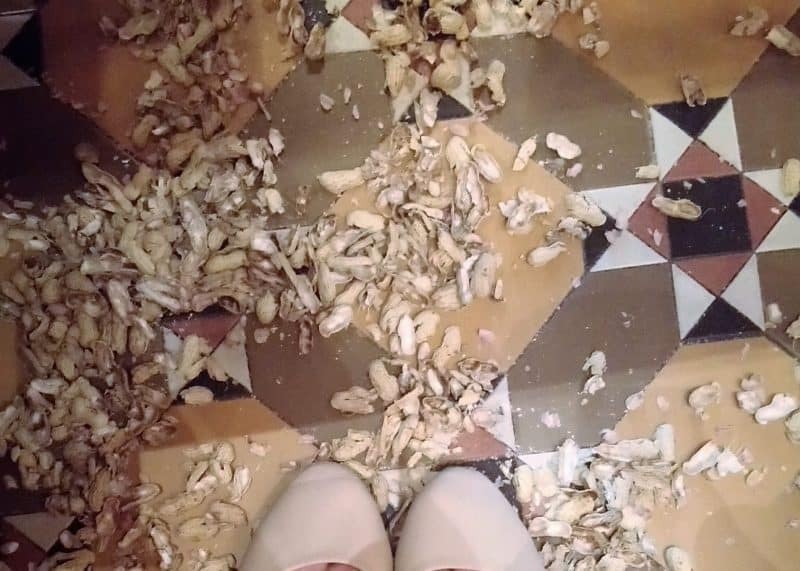 My initial thought when I entered the room was the mild horror of peanut shells scattered all over the floor. I could feel the peanut shells crunching with every step I took as I got deeper into the bar to reach my table. 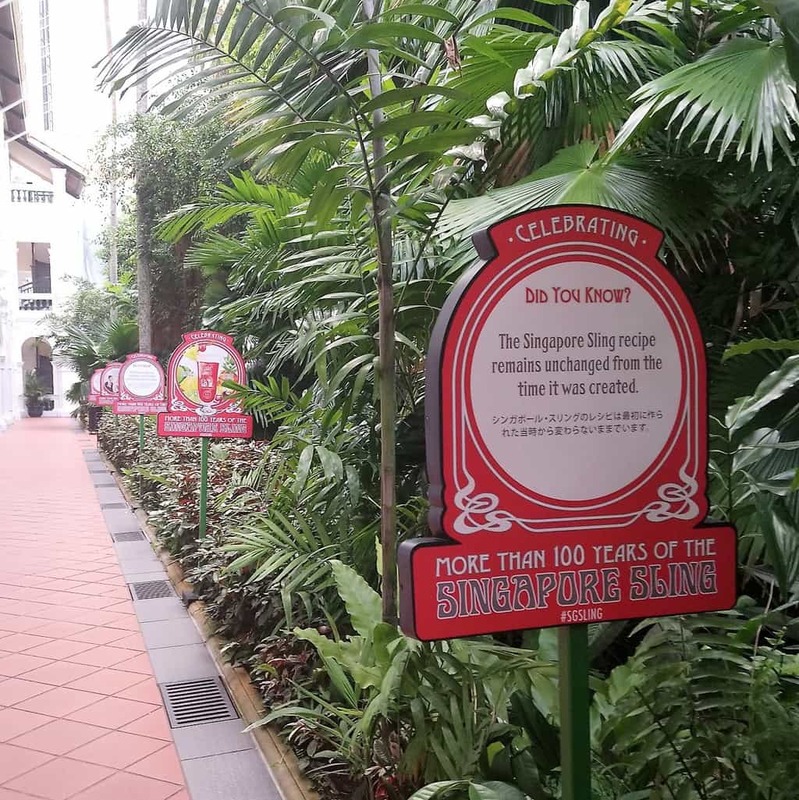 Although no one can say for sure where this tradition originated from, it certainly is unique in the city of Singapore. The Raffles Singapore Hotel is currently in Phase Two of its restoration programme, with only the Bar & Billiard Room and the Raffles Gift Shop open until 13th December 2017. 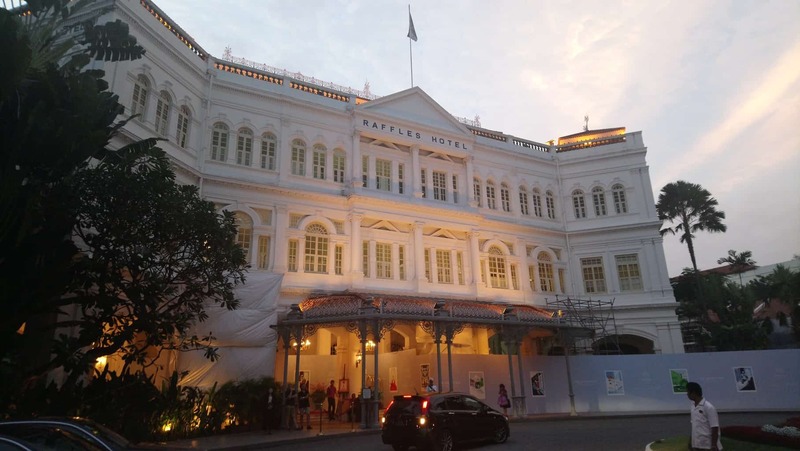 After this date, Raffles Singapore goes into Phase Three and the hotel will be fully closed with a reopening planned for mid-2018. 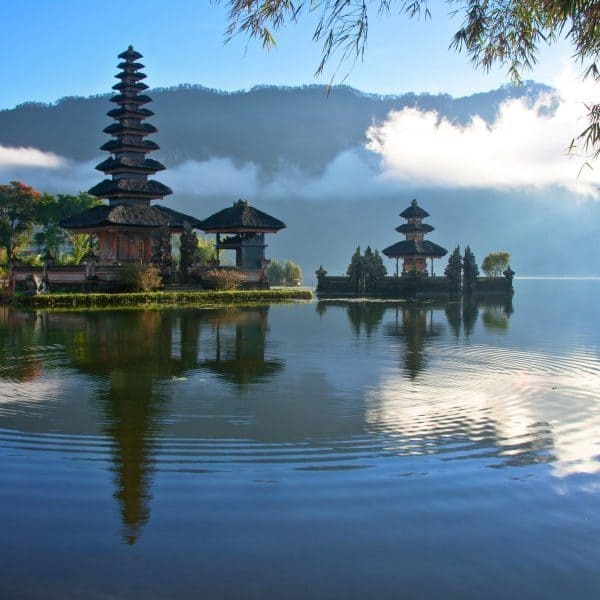 I was lucky enough to see the plans of the hotel restoration and all I can say is that it is very exciting. If you are thinking of staying at the Raffles Singapore Hotel from mid-2018 onwards, please feel free to enquire by either emailing enquiries@yourtravelgroup.co.uk or fill in our enquiry form and one of our friendly team will contact you to discuss your stay. 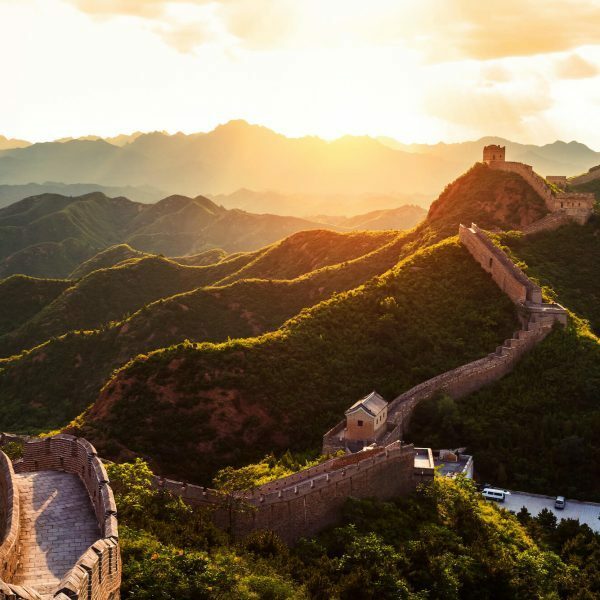 For more inspiration on what to do in Singapore, feel free to read our blog… Things to do in Singapore.